The HOSA club stands in the staircase at the Chattanooga Convention Center. This was their first time going to state and they won several awards. Education. Collaboration. Experience. 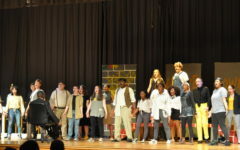 The students in White Station’s HOSA club had the chance to take part in all of these on their trip to the State Leadership Conference in Chattanooga, TN from March 25th to 27th. 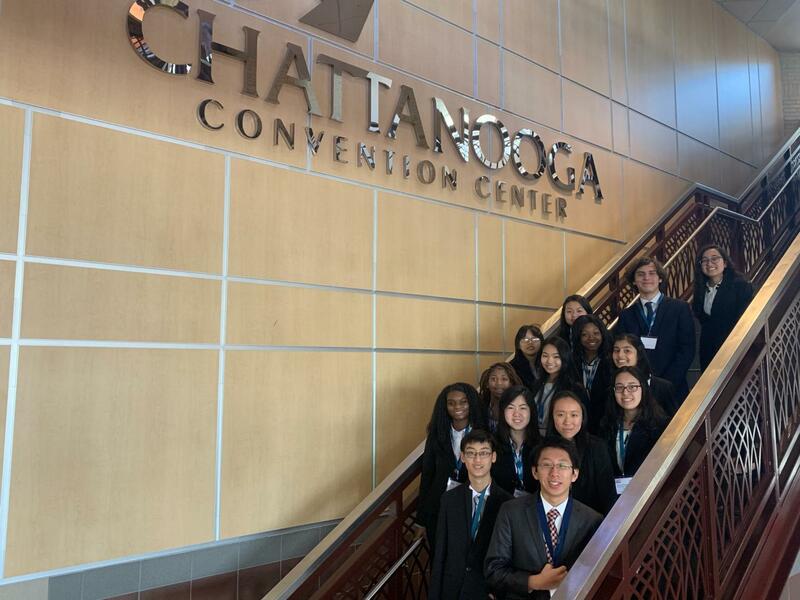 “This was our very first time competing at state, and we went home with many awards,” Jie Wang (11), the president of the HOSA club, said. The members of this club, who are interested in health sciences and getting hands-on experiences in the medical world, had fun at this conference. They were able to present and get feedback on their innovative ideas and visit downtown Chattanooga, including the aquarium. It was a wonderful bonding experience for the members of the club.